Early in a pregnancy, certain ultrasound findings such as the presence of a yolk sac and the crown-to-rump ratio are used to help determine the health of a pregnancy, gestational age and the possibility for pregnancy loss. After the first trimester, however, the embryo has developed into a fetus and new markers are used to narrow in on gestational age and assess the health of the fetus. Among the markers used for assessing fetal growth and health is the length of the baby's femur, the long bone in the human thigh. Measured from the blunt end of the bone to the shaft, the femur length is generally measured in millimeters. While a short femur length finding on ultrasound may indicate the need for further testing to rule out certain conditions, it is also important to keep in mind the limitations inherent to using femur length as a marker for poor pregnancy outcome. 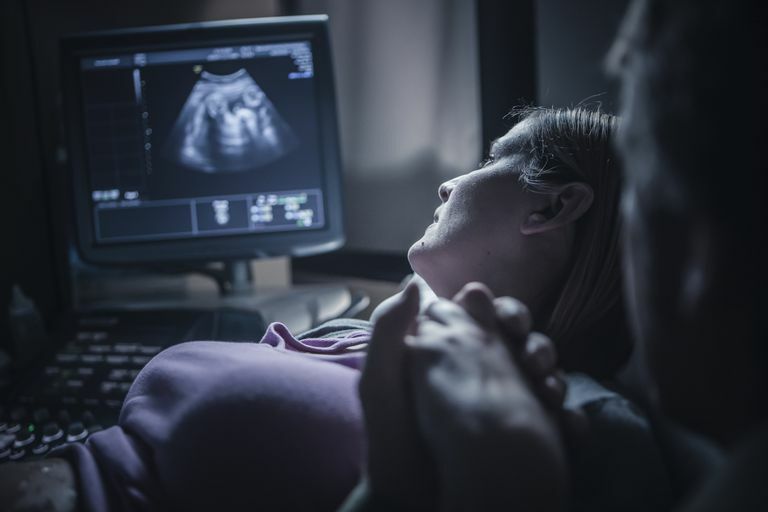 From human error to outdated ultrasound equipment to normal variation, femur length is only one variable among many that should be used to make determinations about the future of a pregnancy, and often one with many limitations in its usefulness. A short femur length identified on ultrasound in the second or third trimester raises concern for the certain conditions detailed below. But it is important to know that in the majority of these pregnancies (73 percent), parents will go on to have a full-term delivery of a healthy baby whose size is appropriate for gestational age. When femur length has been found to be below the fifth percentile, women may be advised about a number of potential atypical pregnancy outcomes. One concern is that fetuses with shorter-than-expected femur length have been found to be at higher risk for skeletal dysplasia, otherwise known as dwarfism. There are more than 200 disorders that can be categorized as a skeletal dysplasia, and all are characterized by a disproportionate skeleton due to cartilage and bone growth abnormalities. This is different from short stature, which is a height that is three or more standard deviations below the mean for age but is proportional. Other studies have raised concerns about the sufficiency of the placenta to provide an adequate nutritional environment for fetuses with short femur lengths. Because of that environment, short femur length is linked to other adverse pregnancy outcomes such as fetuses that are small for gestational age, babies born with low birth weight, and preterm birth. A femur length that is shorter than expected has been used as a soft marker for certain genetic conditions, such as trisomy 21 (Down syndrome), trisomy 13 (Patau syndrome) and trisomy 18 (Edward's syndrome). Soft markers are "red flags" found on ultrasounds that are not abnormalities, per se, but rather characteristics that occur more often in fetuses with chromosomal trisomies. Compared to high-level markers such as nuchal skin fold, femur length is considered a low-level marker for Down syndrome.